When our skeletal muscles are in good condition, they work effectively. However, exercising muscles with trigger points (TrPs), will make pain worse. Those who do not understand myofascial pain syndrome think we are non-compliant, and we become frustrated. The truth is, until we get those knotted up pieces of muscle fiber, TrPs, back to their normal resting length, exercise compounds the problem, the fibers recoil further, and TrPs develop in other muscles making pain worse, not better. 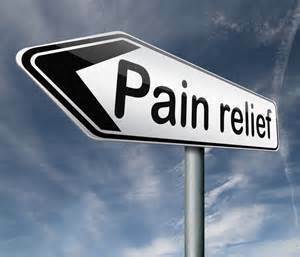 Knowing what to do is paramount to relieving myofascial pain. It takes someone with special skills to detect myofascial TrPs and treat myofascial pain syndrome, but it is our job to identify any perpetuating factors. Perpetuating factors can be broken down into two groups, things we can’t change and things we can. We can’t change anatomical deformities, such as disproportionate extremities, curvature of the spine, or defects from injury or surgery. We can’t change the diseases mentioned in the post “Myofascial Pain Syndrome.” But, we can do a better job managing them, especially once we realize mismanagement can make our pain worse. The right provider is one that understands myofascial pain syndrome. Better yet, they studied the work of doctors Janet Travell and David Simons, the pioneers of myofascial medicine. These care providers include physicians, chiropractors, physical therapists, and/or massage therapists who are specially trained in MPS. The treatment goal is always the same—return the knotted up muscle fiber, TrP, to its normal resting state. If the muscle is too tight, massage and/or pre-warm to help with relaxation and improve location of the TrP. Drs. Travell and Simons suggest stretch after TrP treatment, but keep it gentle. Think like a mechanical engineer and ask yourself, “How far does this muscle stretch with normal movement.” Aggressive stretching can cause the same recoil as exercise, and it can activate latent trigger points that were missed during treatment. T’ai Chi, a meditative dance-like gentle exercise, helps with circulation, gait, and balance, difficulties often identified in MPS. Meditation helps stress, and minimizing perpetuating factors is extremely important. However, many factors may influence total recovery versus maintenance. If you have MPS, start treating today, it will change your tomorrow.